Donations to the National Rifle Association's (NRA) political action committee more than tripled in February in comparison to its contributions from January, filings show. The donations increased as liberal activists, politicians, and celebrities have called for more gun control measures and singled out the NRA and Republican politicians who have received support from the group following the Feb. 14 shooting at Marjory Stoneman Douglas High School in Parkland, Fla., that left 17 dead. Speakers at the "March for Our Lives" rally this past Saturday in Washington, D.C., continued the push by calling for an AR-15 ban and restrictions on "high capacity magazines." Supporters of the NRA appear to have responded by infusing more money into the organization's political action committee. 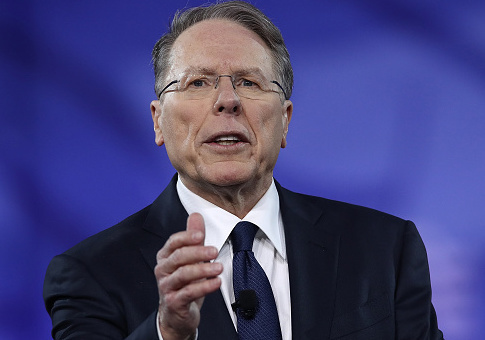 The NRA's Political Victory Fund, the group's PAC, experienced a nearly five-fold increase in itemized donations immediately following the attack, according to the Center for Responsive Politics. The PAC raised a total of $779,063 in February and reported $247,985 in donations in January, an increase of more than 200 percent. For the two-week period prior to the shooting—from Jan. 31 to Feb. 13—the NRA's PAC received $27,100 from 51 itemized contributions, or large contributions from individuals in the amount of $200 or more. The names, dates, and amounts of the contributions from donors who give more than $200 are included in filings, allowing for a count of large contributors. An overwhelming majority of the contributions to the NRA's PAC last month were in the form of small donations. Almost 88 percent of the money donated to the NRA's PAC in February came from unitemized contributions, or individuals giving $200 or less. The PAC reported $685,099.51 in unitemized contributions throughout the month, according to filings. Those who give less than $200 are lumped together in one total sum. The NRA did not respond to inquiries on the amount of small donors to the PAC by press time. The NRA's PAC has now taken in just over $7 million since the start of the 2018 election cycle, which began in Jan. 2017. More than $6.3 million—or around 90 percent—of its total donations this cycle came from small contributions, its filings with the Federal Election Commission show. Liberals have used the contributions from the NRA's PAC to Republican candidates as a focal point in their attacks against both the organization and the politicians. Some in the media—along with liberal activists pushing for more gun control measures—have conflated the amount of contributions politicians have received from the NRA's PAC by combining the donations given to campaign committees with independent expenditures spent by the group, which include the likes of paid advertisements in support or opposition of candidates. Independent expenditures are not coordinated between an organization and a politician's campaign in any way. For example, MSNBC's Joy Reid tweeted out a picture of Sen. Marco Rubio (R., Fla.) ten days after the shooting that read, "Donations from the NRA to Sen. Marco Rubio — $3,303,355." The picture with the widely cited figure was retweeted 4,800 times and received more than 5,800 likes. Reid later talked about the $3.3 million in "donations" on her show that weekend. "So now, Marco Rubio is essentially not taking a single step away from the NRA," Reid said. "In fact, let's look at his history. Over the course of his career, his donations from the NRA total—top—$3.3 million, according to the Center for Responsive Politics." Federal PACs such as the NRA's are capped at giving a maximum of $10,000 per candidate, per election cycle with $5,000 allotted to a primary and $5,000 to the general election. Rubio received $4,950 from the NRA's PAC in 2010 and $9,900 during the 2016 cycle. The NRA spent $2.3 million on independent expenditures during Rubio's 2016 Senate race opposing his challenger, former Democratic representative Patrick Murphy, while putting $1 million towards communications in support of Rubio's reelection. However, independent expenditures "are not made in cooperation, consultation, or concert with, or at the request or suggestion of, a candidate, a candidate's authorized committee, or their agents, or a political party or its agents" and are not "donations" or funding to a candidate's campaign. Publications such as the New York Times have written that the "true source" of the NRA's clout lies in its ability to mobilize its members and not from its donations to candidates. The NRA "derives its political influence instead from a muscular electioneering machine, fueled by tens of millions of dollars' worth of campaign ads and voter-guide mailings, that scrutinizes candidates for their views on guns and propels members to the polls," the Times wrote. "The organization's calculation is that its money is better spent on maintaining a motivated base of gun rights supporters than on bankrolling candidates directly," they later add. Since 1990, the NRA's PAC has averaged around $1.3 million in total direct contributions to all federal candidates per election cycle.